Composting can divert up to 30% of your household waste into a more beneficial means of disposal. You can turn a majority of the natural products found around the house into compost for a budding vegetable garden. Help your wallet, your crops and the planet by utilizing these simple tips for more responsible and effective composting. Mix equal parts green and brown. 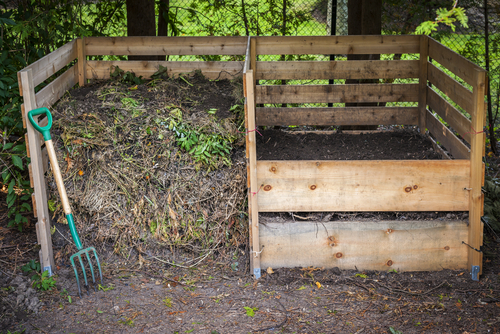 Finding a proper balance between the amount of “green” and “brown” materials in your compost creates a mixture that heats up quicker and decomposes better. Green materials are nitrogen-rich, and include fruits and vegetables and coffee grounds, while brown materials, such as paper products, corn cobs and dryer lint, are carbon-rich. Quench its thirst. Like any other living organism, your compost needs moisture to stay healthy. Regularly water the mixture to guarantee that the composting process remains active, but don’t overwater. It’s equally as harmful for the compost to become soggy as it is for it to dry out. Avoid harmful agents. Materials such as meat, bones and fish scraps attract pests that can thwart the development of crops and should never be added to compost. Other products to stay away from include dairy, pet manures (bad for food crops) and excessive amounts of sawdust (prone to clumping). Construct a tumbler. You can easily make a containment tumbler for your compost from a black plastic bin and a few other materials. Tumblers with built-in turners ease the job of aeration and blending, which break down the mixture and reduce the number of anaerobic microbes that make your compost smell moldy. Bigger is better. If you choose to go the route of a pile rather than a tumbler, you’ll generally enjoy more success by bulking your pile up, with a maximum of 3-feet by 3-feet. The more material you have, the hotter your compost will get and the quicker it will break down. Plan ahead. Composting can take anywhere from 1 month to 2 years, depending on your management and turning. Generally, a well-maintained pile that is turned regularly can be ready for use after a month or two. Once your compost is finished decomposing (you should end up with a soft mixture with no discernible items), it’s recommended that you apply the compost to your garden 2-4 weeks prior to planting crops. This will give it time to integrate into and stabilize within the soil.